(Derek Henry) The scenario of widespread disease has been slowly but surely infiltrating our society, and whether it was on purpose or by accident, the results have been catastrophic to every living thing on the planet. Whether it is vaccinations, depleted soils, chemically driven agriculture, prescription medications, GMOs, or treated water, we have erroneously believed those in authoritative positions either have the answers, or that they even care to give them to us. When we find out that neither is usually the case, we seek to remedy the situation as quickly as possible in order to detox impurities and restock nutrients that have been lost. 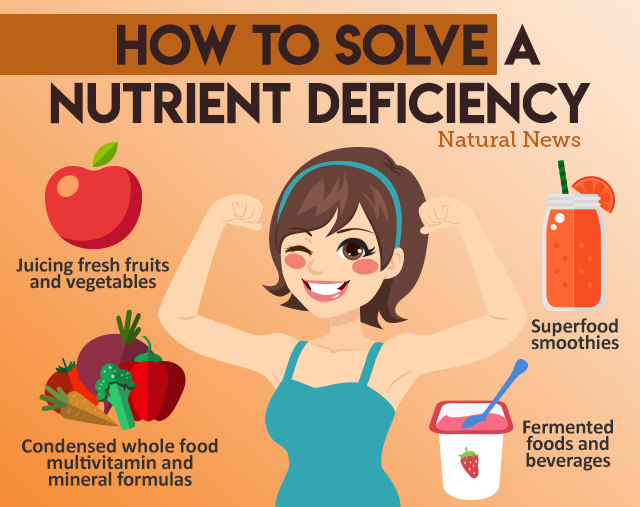 After all, one severe vitamin or mineral deficiency is enough to create a disease process that sends you to the doctor that ends up with you going home with a bottle of pills that do NOTHING to rectify the issue. For those who have just caught onto this nasty game of permanent pocket lining, the first thing you should do is look for a more natural way to dramatically increase your vitamin and mineral intake. The most obvious solution is to get a supplement that packs in every single nutrient possible into one pill, right? Unfortunately, that solution is rarely a viable option and you end up flushing your results down the toilet. 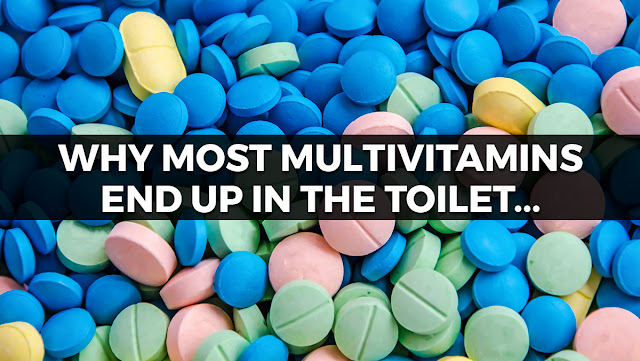 First of all, let’s deal with the lion’s share of multivitamins being sold on the shelves, which are synthetic versions that contain a laundry list of isolated vitamins and minerals. 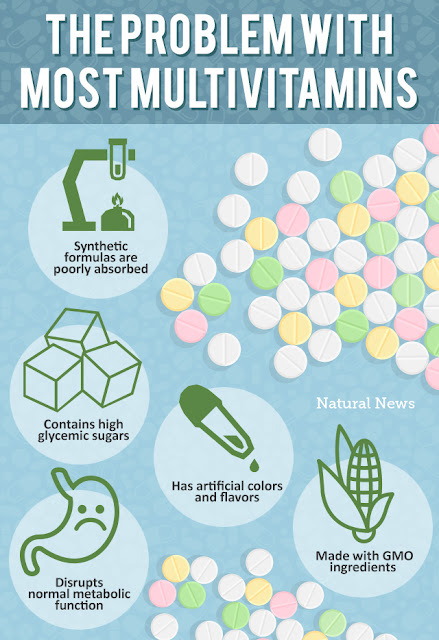 These multivitamins may look good on paper, but inside your body, nothing can be further from the truth. The first issue is that the body can’t properly absorb what it doesn’t recognize. Putting a multitude of laboratory isolated vitamins and minerals together with artificial colors, flavors, high glycemic sugars, and GMOs, is NOT a recipe for increasing your health. Synthetic nutrients that are not found in nature are largely unrecognizable and therefore have poor assimilation, which means that most of the formula ends up passing through your system in the form of urine. If you have upgraded your multivitamin to one that’s nutrients are extracted from whole food sources and don’t contain any of the nasty ingredients noted above, you are certainly on the right track. However, these multivitamins do not contain the spectrum of synergistic nutrients found in the entire plant, which ultimately optimizes the digestibility and delivery into the bloodstream where those nutrients can be put to proper use. So again, a portion of these benefits are swirling down your toilet. Of course, the best way to get your vitamins and minerals is from organic, nutrient dense foods that offer a wide spectrum of nutrients. However, with moderate to severe nutrient deficiencies being a real problem, along with compromised digestive systems (you are what you DIGEST, not what you eat), a whole foods diet may be too slow and burdensome to load up on these nutrients efficiently. This is why trends like juicing have become popular. They provide a way to introduce a tidal wave of nutrients that you couldn’t possibly consume through food in a day. For example, you can juice 3-4 pounds of fruits and vegetables into one 16 ounce glass of juice. This is an excellent way to get the nutrients without eating until you’re full all day long. An even more sustainable and cost effective way to get an abundance of easily digestible nutrients is through smoothies. In fact, a smoothie can easily become a meal in itself when prepared properly. Try out this Superfood Smoothie Recipe for yourself, and watch your energy increase while your stomach stays satisfied. An excellent way to enhance your daily smoothie and dramatically increase your vitamin and mineral uptake (as well as enzymes and probiotics) is to add the Health Ranger’s Fermented Superfood30 to your smoothie recipe. This way you get a spectrum of 30 whole food nutrients which are fermented (increasing enzymes, probiotics, and bioavailability) and provided in a powder format so you can easily add it to your smoothie for maximum nutrient uptake. There are so many ways to improve your nutrition, and it’s typically not through multivitamin formulas. Focus on whole food nutrition and ways to sustainably introduce it into your lifestyle, so you can enjoy the enormous benefits of properly stocked vitamins and minerals for the rest of your life.